UFO SIGHTINGS DAILY: Stange Alien Face Found On Mars In NASA Photo! Proof of Intelligent Life On Mars, Photos, UFO Sighting News. 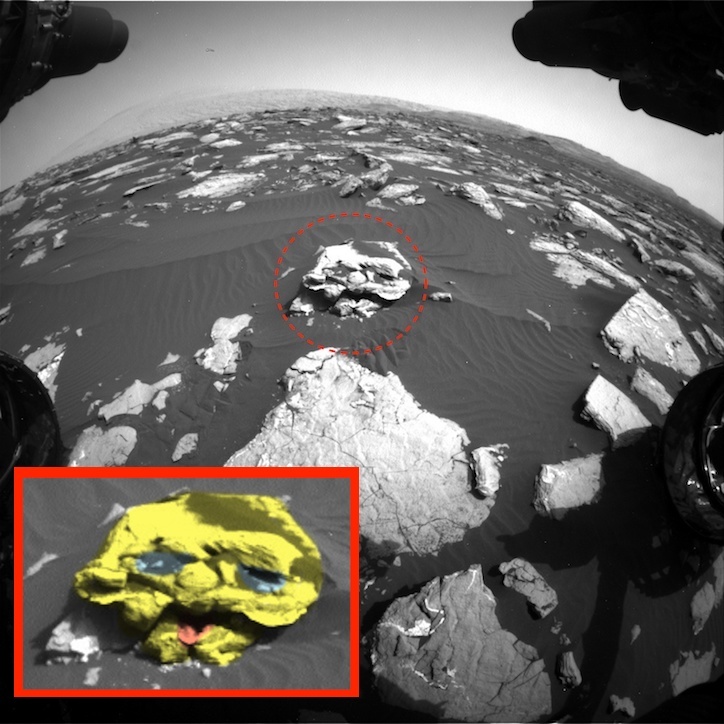 Stange Alien Face Found On Mars In NASA Photo! Proof of Intelligent Life On Mars, Photos, UFO Sighting News. 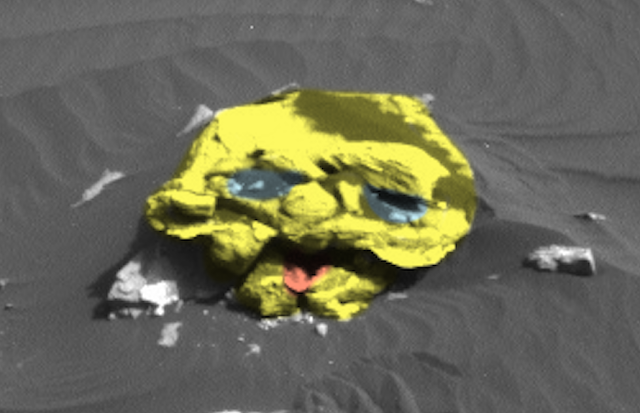 I found this face in a Mars curiosity rover photo. The face is very old, primitive appearing and non human. The species lacks artistic skill as you can see, and has a large round nose, small lower jaw, open mouth and small eyes. This is proof that non human aliens did once live on Mars, but I have discovered hundreds of such faces on Mars, so this is just one intelligent species of many. There were about 6-10 intelligent different species on the planet, which I determined from the faces that I found.